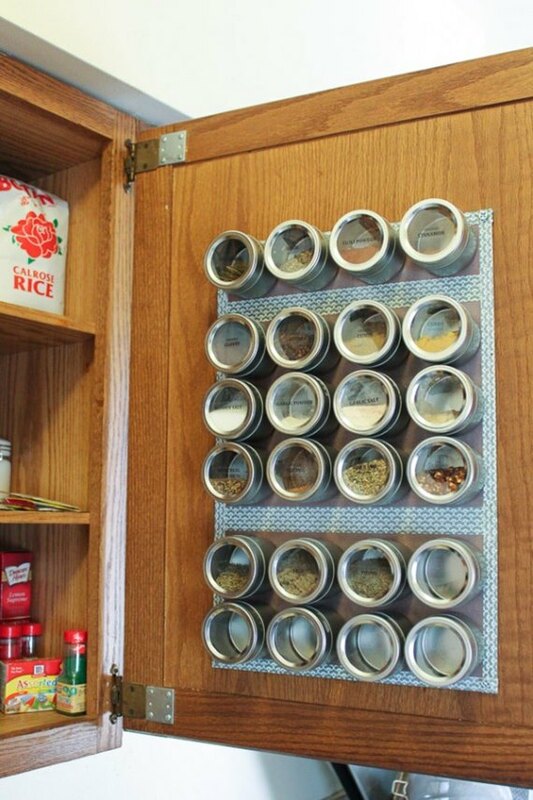 A Collection of DIY Space Saving Hacks to Organize Your Kitchen. 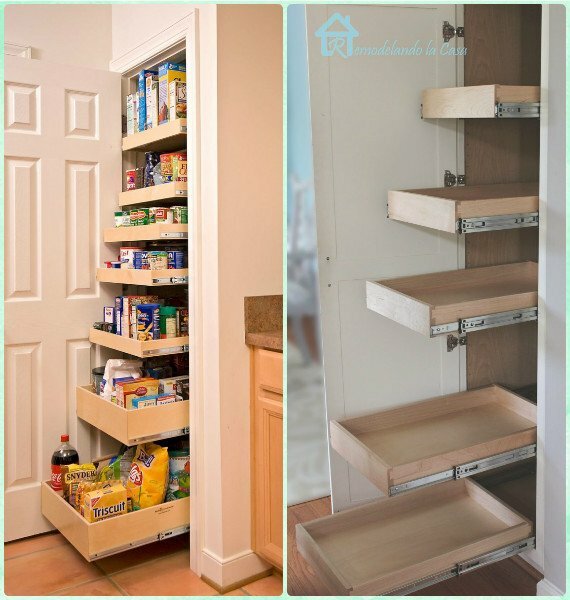 Our Home Improvement Channel is going to find out the solutions for kitchen organization. Kitchen is the heart of our home, and we spend a lot of time there everyday. It’s easy to get in disorder, and an organized tidy kitchen is needy if we want to make our cooking tasks in ease. The placement of utensils, kitchen tools and supplies of cans and groceries can always be the big headache, no matter you have big or small kitchen, they can be easily cluttered everywhere. 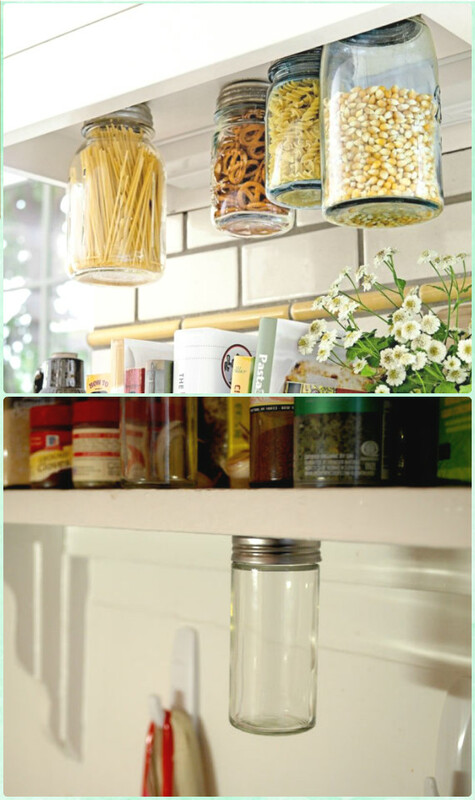 If you want to keep your kitchen alive and organized on a budget, scroll down to see these handy 30 DIY Space Saving Hacks to Organize Your Kitchen! Wish you get inspired from our collection and make your dream kitchen shiny and under control. 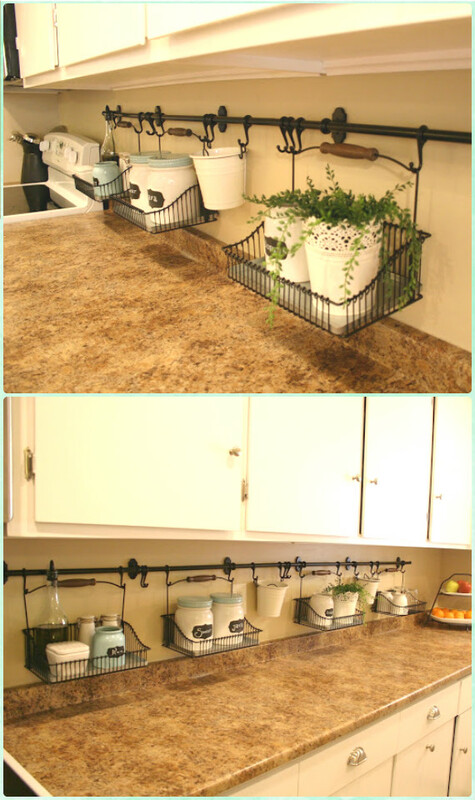 Hanging Basket over back splash to keep your counters out of clutter. 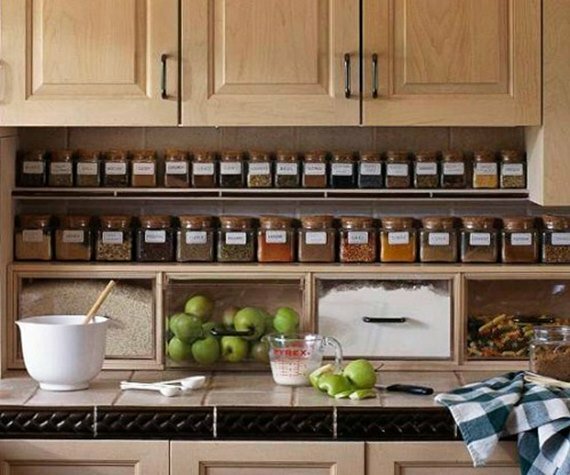 Add a small shelf just below your top cabinets for spice storage and more. 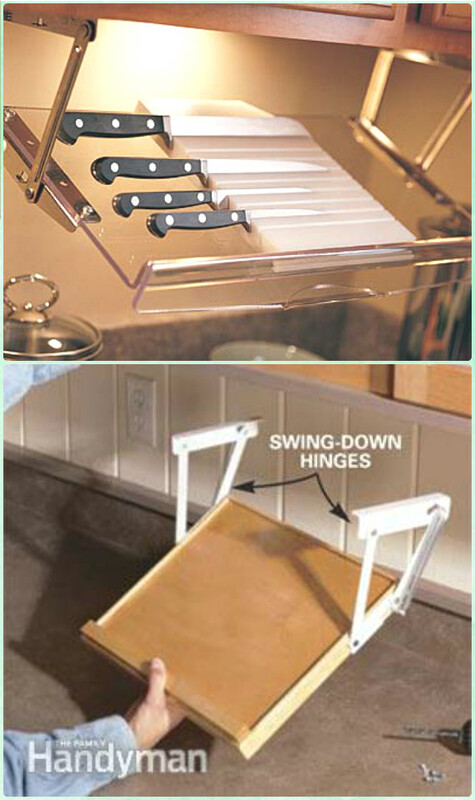 A Swing down rack for knife or cookbook. 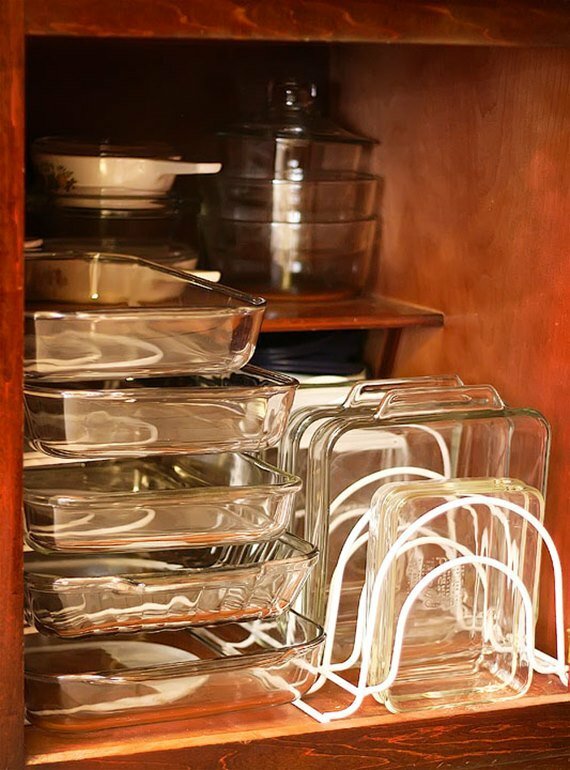 Organize glass casserole dishes or other baking essentials stacked by adding dividers. 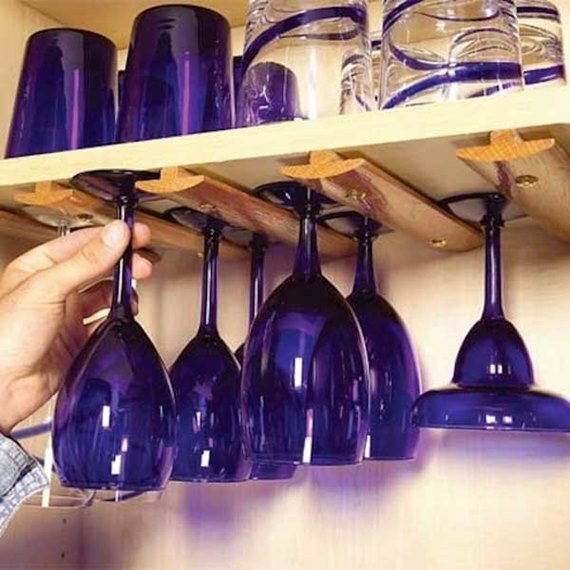 Using Under- shelf Racks to double the cabinet shelf storage for easy classification and later usage. 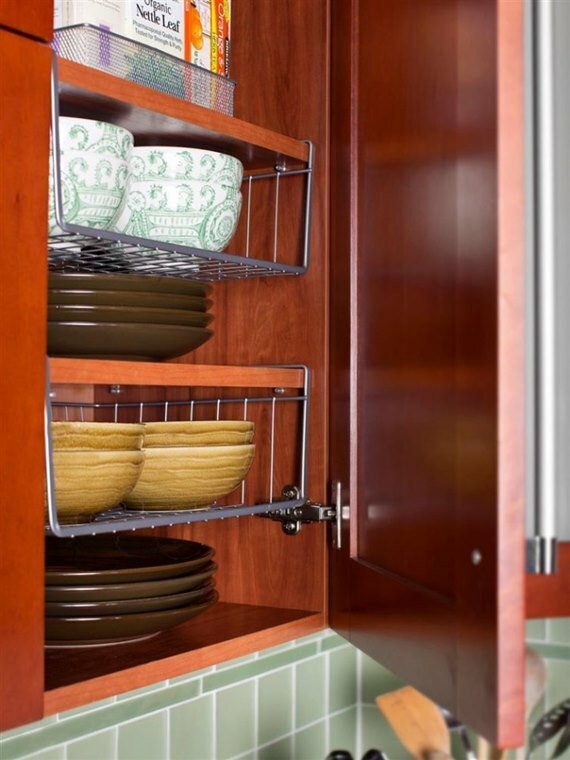 Keep pantry organized with pull-out shelves that can save you time in the kitchen—and save your sanity! 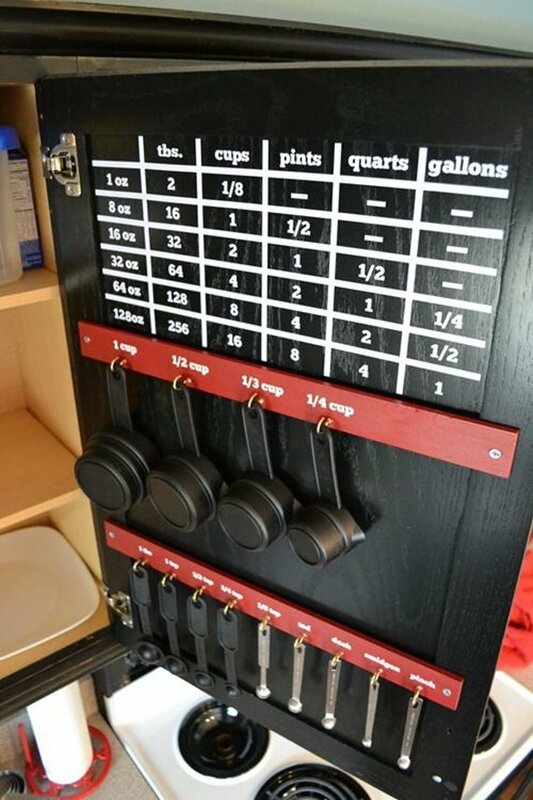 Add practical measurement conversion chart together with your Measuring Cups and Spoons.